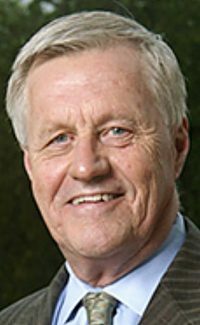 House Agriculture Committee ranking member Collin Peterson, D-Minn., who is poised to become chairman of the committee next year when the Democrats take control of the House, today repeated his determination to finish the farm bill this year. Peterson also talked about the committee's agenda next year if the farm bill is finished this year, said he would support congressional approval of the U.S.-Mexican-Canada agreement on trade, and that he will vote for House Minority Leader Nancy Pelosi, D-Calif., to become speaker of the House next year. In a call to reporters, Peterson said, "My whole thing is to get this farm bill done." Peterson also said he got a call Tuesday night from Agriculture Secretary Sonny Perdue, congratulating him on his re-election even before the race was called and that Perdue said they should work together to finish the farm bill. In response to a question, Peterson said he had not heard from House Agriculture Committee Chairman Michael Conaway, R-Texas. Peterson added that he has the support of Pelosi, House Majority Leader Steny Hoyer, D-Md., and House Assistant Minority Leader Jim Clyburn, D-S.C., who have "no interest in waiting until the next Congress." He and the other three principals — Conaway, Senate Agriculture Committee Chairman Pat Roberts, R-Kan., and Senate Agriculture ranking member Debbie Stabenow, D-Mich. — agreed at their last meeting when they were pictured with arms interlocked that their proposals should be scored by the Congressional Budget Office by next week, when Congress returns from the election break. "There is nothing that is a big enough deal to keep from getting the bill done," Peterson said, adding, "Why wouldn't Conaway want to finish it on his watch?" It is still unclear whether proposals on which all agree have been reached and scored by CBO. But Peterson said legislation is also supposed to have been drafted so that if there is agreement the House-Senate conference committee can be quickly convened. Peterson said the big argument is still over the Supplemental Nutrition Assistance Program (SNAP). The House farm bill includes stiffer work requirements for SNAP beneficiaries, and the bill passed the House with only Republican votes because of that provision. But Peterson said today that "the problem is not work requirements, the problem is that we have all these waivers," a reference to a provision in the law that allows states to request waivers from SNAP regulations to allow more people to qualify for the program. 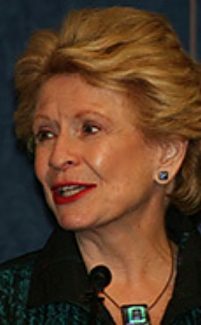 Peterson noted that the Trump administration is moving ahead with restricting the waiver authority, but "there may be changes we can make." Peterson also said of the Republicans, "Given what happened in this election, I don't know what leverage they think they have." Peterson noted that during the election campaign he was blamed for not getting the farm bill done when "I didn't have anything to do with this." 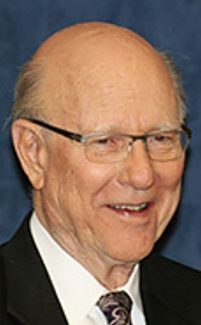 Peterson said he doesn't know exactly how the conference will resolve a provision in the House bill that would take budget authority for payments to farmers who have planted cropland that was often in wheat to grass to allow farmers in areas of extended drought to update their crop yields. Although Stabenow has been more publicly outspoken on this issue, Peterson said, "This is an issue between the two chairmen. I have through this whole conference not brought anything new to the table. They are trading some ideas back and forth as I understand it. They are getting close to a resolution." On the conservation title, Peterson said that the conference report will not end up with as many acres in the land-idling Conservation Reserver program "as I think we should" and that he wants to maintain the Conservation Stewardship Program, "but it doesn't have to be exactly as it is now." Peterson said he would like to end the permanent easements that the Natural Resources Conservation Service arranges for landowners because people who get into financial trouble agree to them, and a generation or two later farmers discover they have to live within those rules. "I think permanent easements are the worst thing that have ever been put upon us, but others disagree," Peterson said. "We are buying too much land, buying too many easements." 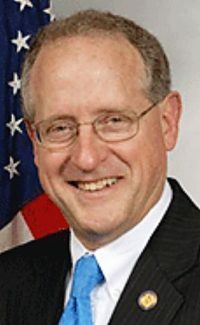 After the farm bill is done, Peterson said he would lead the committee to turn to oversight of the agencies over which the committee has jurisdiction. Those are USDA, the Commodity Futures Trading Commission, the Food and Drug Administration and the Farm Credit Administration. At USDA, Peterson said, he is concerned about the administration's plans to reorganize the Economic Research Service and to move most of the employees of ERS and the National Institute of Food and Agriculture out of the Washington metropolitan area. Peterson said he will also work with CFTC Chairman Christopher Giancarlo, but that "some concerns have been raised about these banks putting together risky car loans and selling them off to the public." Peterson said he will support the USMCA that the Trump administration has negotiated to replace the North American Free Trade Agreement and has told other members he supports it. Other members, he said, may try to slow it down over the tariffs that the Trump administration has opposed on Chinese goods that have resulted in retaliatory tariffs on U.S. farm products. Farmers tell him they are sure that Trump has a plan and that U.S. agriculture will end up better off, Peterson said, adding, "I don't see any way we are going to be better off. " Peterson said he does not see what Congress can do about the China tariffs because "the president controls the trade mechanisms." Peterson said he believes Pelosi "will take up the speaker's gavel." He said he would support her because "you can't beat somebody with nobody. She raised half the money to win the majority. She has said she is going to take the position as a transition person. I don't see anybody who is ready to go in there and take that position. I think she is going to be the next speaker, and we will see how it goes from there." Peterson said he is "thrilled" that Rep. Tim Walz, D-Minn., who has been a member of the House Agriculture Committee, has been elected governor of Minnesota because Walz is "just the right guy at the right time for that." After getting the farm bill passed, Peterson said, his first job will be to get the Democratic caucus to elect him as committee chairman and get the committee organized. Peterson said the lack of Democratic pickups in rural districts concerns him, but that he plans to bring younger members of the committee "along" so that they can educate new committee members who are not knowledgeable about agriculture. But Peterson, who is 74, said no one should interpret that statement to mean he is announcing he won't run again in two years. "Don't bring up if I am going to run again," Peterson said, adding — with a laugh — that he wants to make sure that "10 years from now, when I am fading out, they are ready to go."